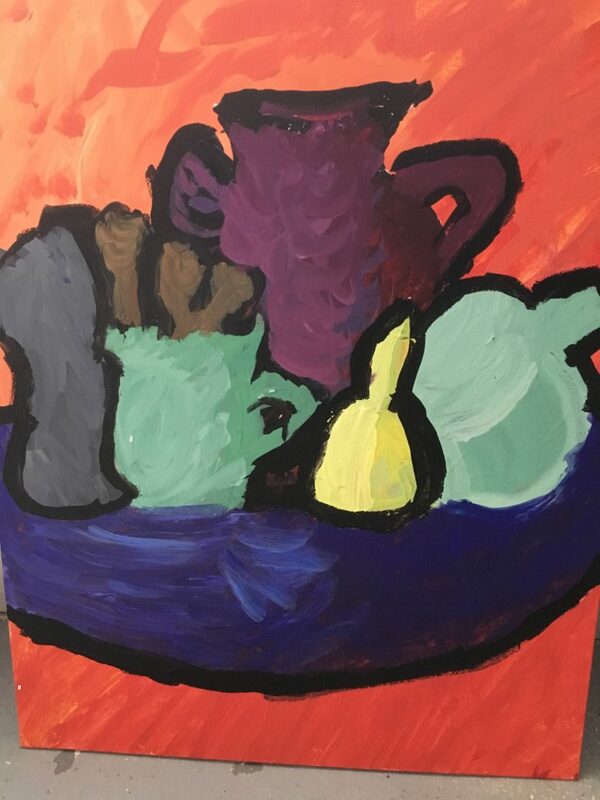 Using sketching and acrylic painting techniques fourth grade students at Methow Valley Elementary School created still life compositions through a Methow Arts Artist-in-Residence program. 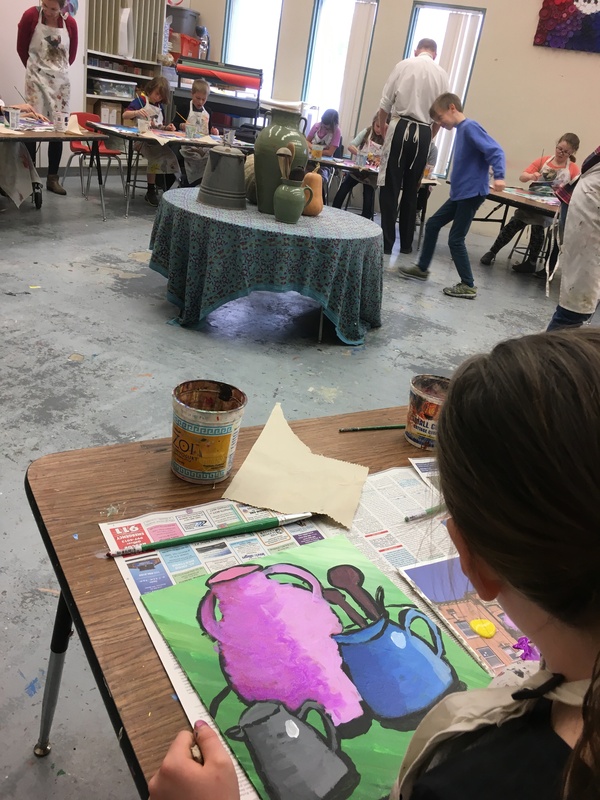 Teaching artist Deirdre Cassidy showed students a diversity of examples throughout art history and taught them about the nature of the content in still life compositions. 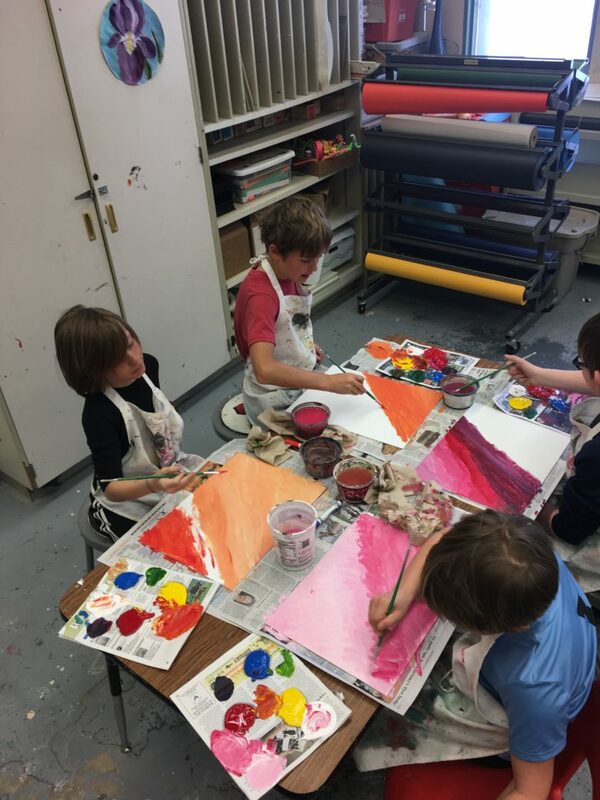 In this residency students explored line quality, line contour, and various color schemes including monochromatic and dichromatic, based on primary colors. 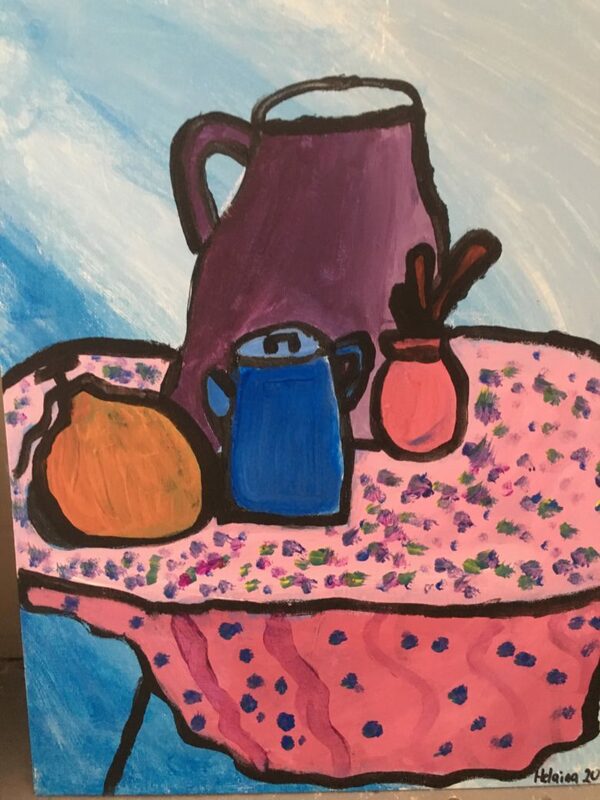 Says 4th grade teacher Tiffany Surface, “The students really seemed to grasp the concepts being taught and it fit right into our ‘How We Express Ourselves’ unit” (referring to an International Baccalaureate unit that is an inquiry into the ways in which we discover and express ideas, feelings, nature, culture, beliefs and values; and the ways in which we reflect on, extend, and enjoy our creativity; and our appreciation of the aesthetic). 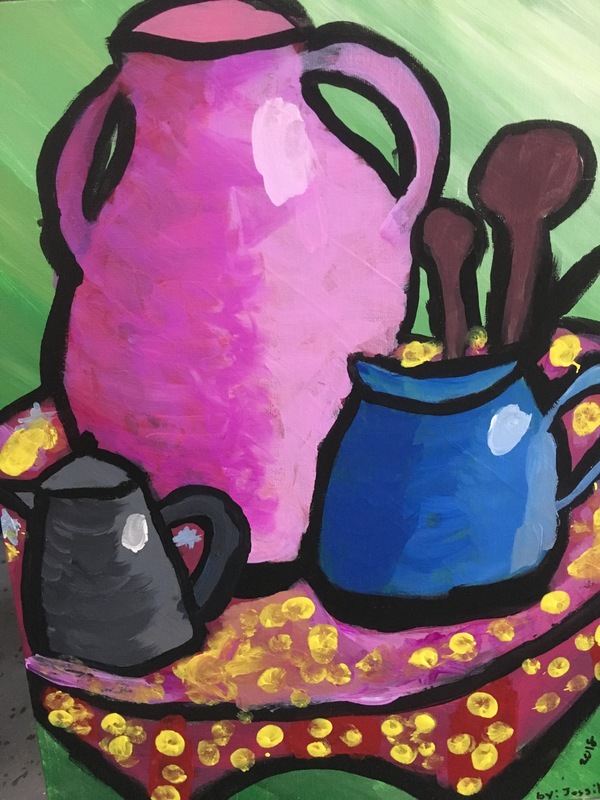 She continues, “The environment provided by the residency creates focus and purpose. 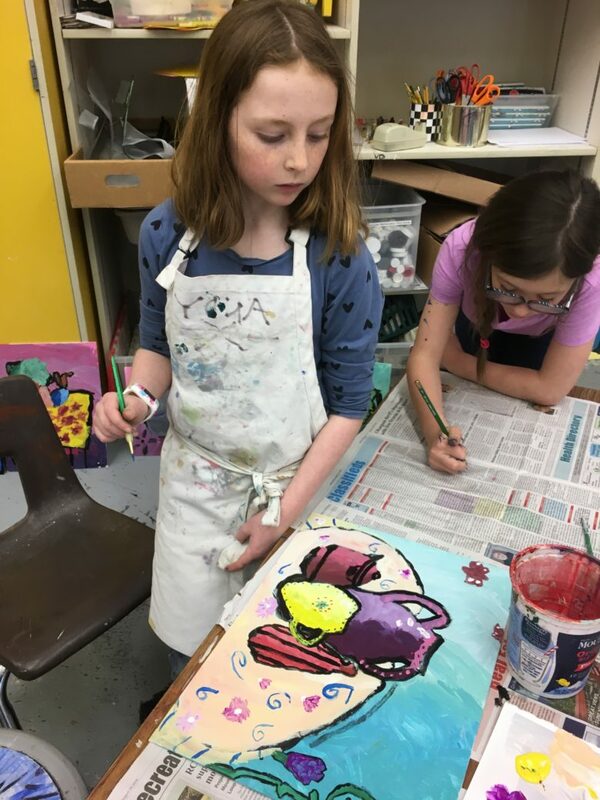 Each student gained skill and knowledge.” Surface also remarked on Cassidy’s adeptness with balancing instruction, demonstration, and hands-on learning. 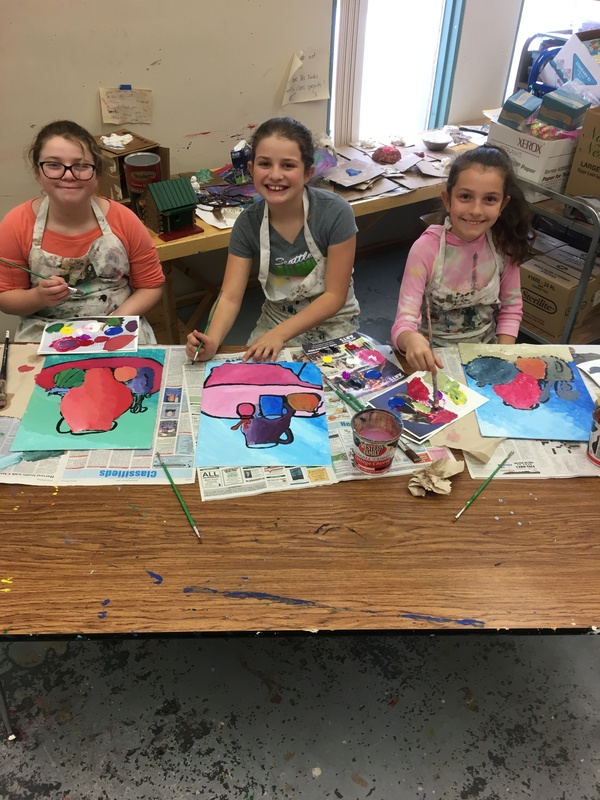 This art residency was brought to students by Methow Arts Alliance’ Okanogan Region Arts Education Partnership. 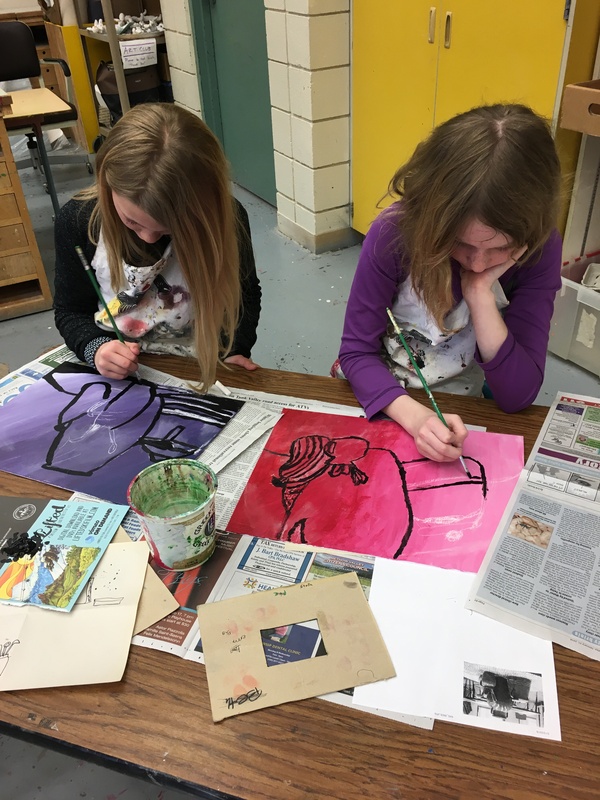 The partnership serves over 5,200 students and 380 teachers across greater Okanogan County with arts programs in classrooms in the Brewster, Methow, Okanogan, Omak and Pateros School Districts, and in the Paschal Sherman Indian School on the Colville Reservation. 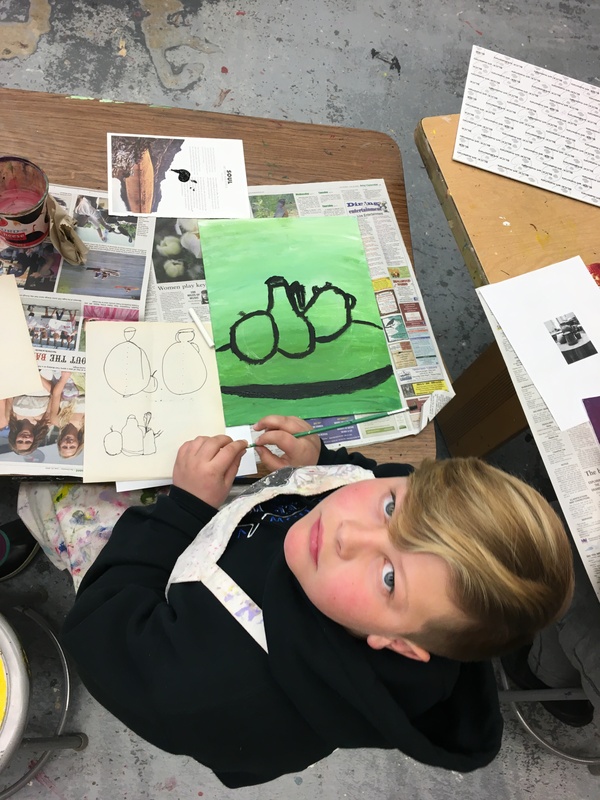 This still life residency was sponsored by the Methow Valley School District, the Public School Funding Alliance, ArtsWA, Icicle Fund, the Robert B. McMillen Foundation, and the Methow Valley Fund of the Community Foundation of North Central Washington.